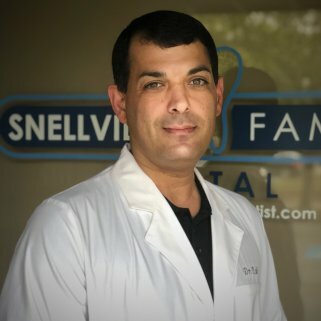 What is Full Mouth Reconstruction and When Do You Need it? Full mouth rehabilitation, along with full mouth reconstruction, and full mouth restoration are all terms used to describe the process of rebuilding or restoring all teeth in the lower jaw and upper jaw. It involves many procedures and may include crowns, bridges, veneers, and also require the participation of other dental professionals including, but not limited to, an orthodontist and an endodontist. 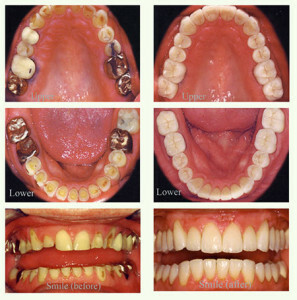 What condition your teeth are in will determine what restoration methods are used. The most common remedies for stained, and chipped teeth are crowns and dental veneers. Other options include implants, inlays and onlays, and bridges. A dentist will take note of any decay or cavities, as well as wear, cracks, and root canal issues. A cosmetic dentist will look carefully for excessive or insufficient gum tissue. They will also look for periodontal disease, and irregularities in bone density. If your gums are not healthy, this will need to be addressed with treatments. Scaling and root planning can be done to give your teeth a solid foundation. Other treatments could include bone grafts and soft tissue treatments to build up the gums and the jaw bone foundation. It is imperative to have a stable bite – one that does not cause you pain when you chew or close your mouth. If this happens, it can be destructive to your teeth. Some patients may require orthodontics and other treatment to correct occlusion before other procedures to restore your mouth can be done. 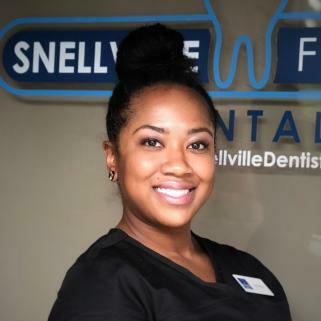 Some of the most important factors in a full mouth restoration are the shape, color, size, and proportion of your teeth, and how they look in proportion to your lips, gums, mouth, profile to the side, and your face. You are going to need records of your mouth, usually done with X-rays and photos, during your examination process. You will most likely have impressions done of your upper and lower teeth or gums. Your Provider may need to refer you to a specialist, such as an orthodontist, or an oral surgeon or periodontist. 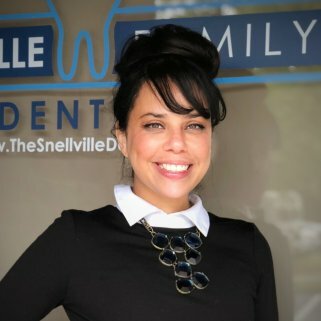 Once your Provider has put together all of the information needed to recommend a plan of treatment, the first steps to full mouth restoration can begin. This can be a complicated process that takes several months. If you have any questions about any of the procedures, be sure and ask your dentist to explain it to you in detail. Make certain you understand all of the benefits, and potential risks associated with each treatment and procedure. Many full mouth restorations involve many office visits, and have multiple phases you will have to go through. It can take 12 months or more for all of this to be complete, depending on your situation. 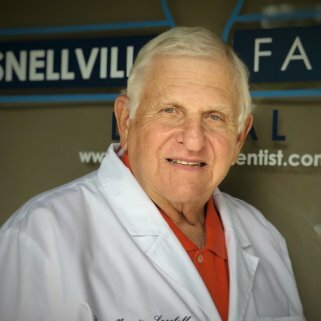 Our Staff is well experienced in full mouth rehabilitation, having done all of the procedures involved in this process for many satisfied patients. 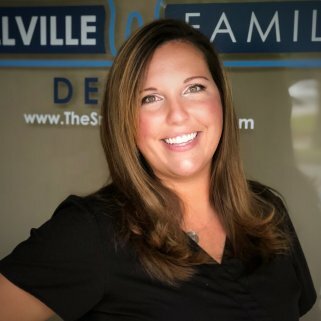 Dr. Nabi and Dr. Socoloff work as a team with their staff to give you the look you want. 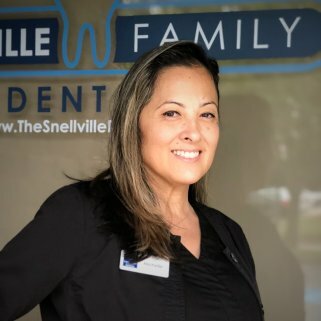 Our staff of experienced and professional dental lab technicians at Snellville Family Dental work hard to achieve natural looking results with all of our dental restorations and cosmetic procedures. Your teeth after the full mouth rehabilitation procedure will look, feel, and function like never before. You’ll look and feel better about yourself, and your friends and family will notice the difference as well. 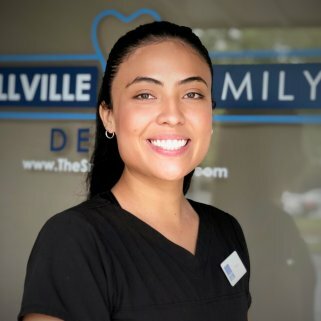 If you want to learn more about full mouth rehabilitation, or any of our other dental restorative procedures, please feel free to Contact Us and schedule a consultation.